As the readers of our Blog may have guessed, I rather like colorful food. However, I do prefer natural colors to those inspired by food scientists. 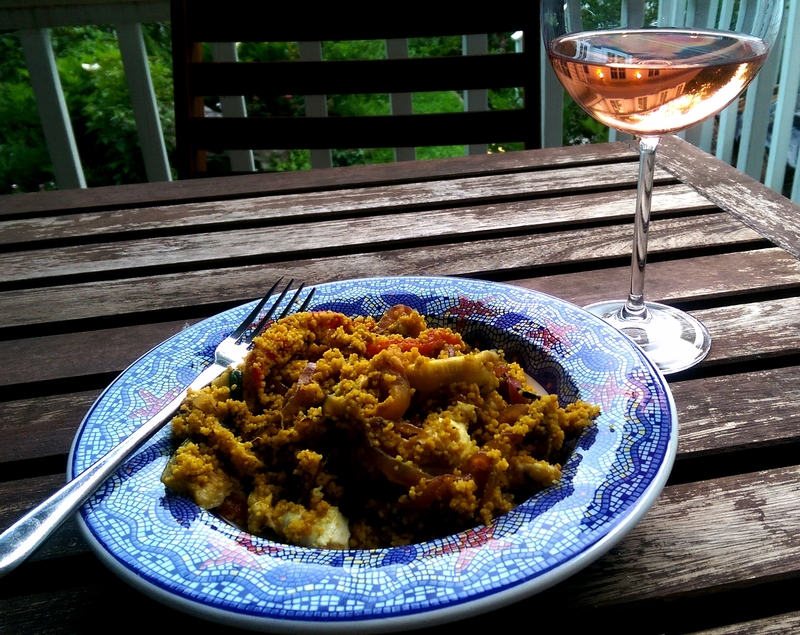 I came up with this Couscous, Roasted Vegetables and Mozzarella Salad one summer evening, around 20 years ago, in an attempt to recreate the look and taste of a salad I had on vacation by the Mediterranean. Albeit, it’s so long ago now, I just cannot remember where!! 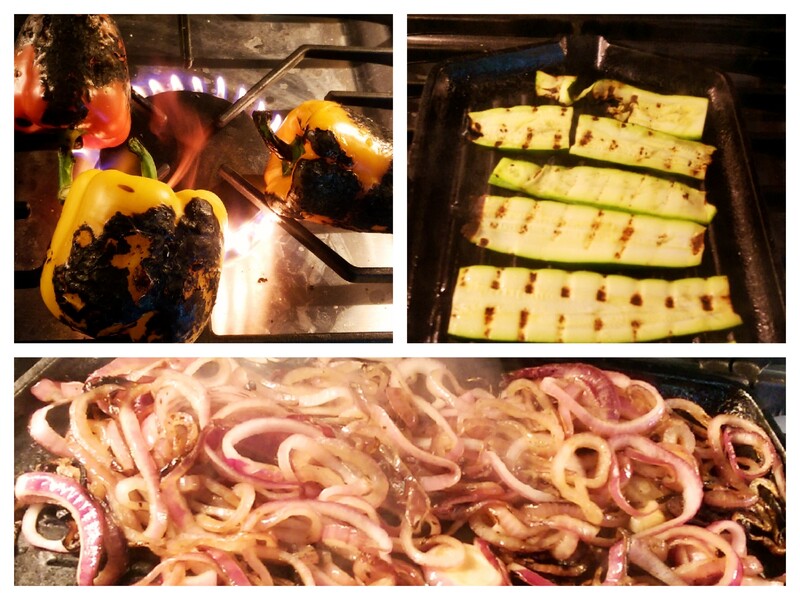 For Roasted Veg you’ll need: 2 Courgettes / Zucchini in the US, (sliced fine lengthwise) – 1 Large Red Onion (finely sliced across) – 3 Whole Bell Peppers (Red, Yellow and Orange), Olive Oil and 2-3 tbsp of Balsamic Vinegar. For the Couscous, you’ll simply require 250g / 9 oz of Whole Wheat North African style Couscous, 1 tsp salt, 1 tbsp of Extra Virgin Olive Oil, 1 tsp of Turmeric and 2-3 knobs of butter. 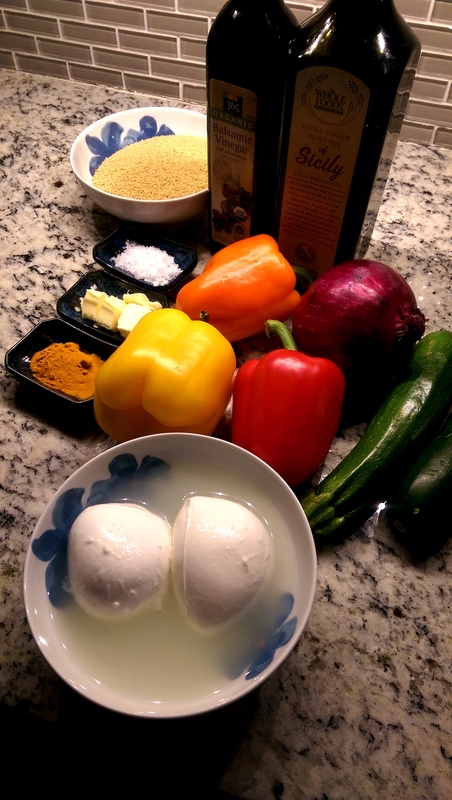 You will also need 2 x Buffalo Mozzarella Balls! Truly delicious served with a glass of dry Rose Wine! Thanks for the kind review Ira! Keep following the blog and eating my creations too! Thank you so much Madeline. It’s one of my family’s favorites and I am glad you enjoyed it so much!